Arthur was born at six-and-a-half months with an extensive cleft lip and palate. 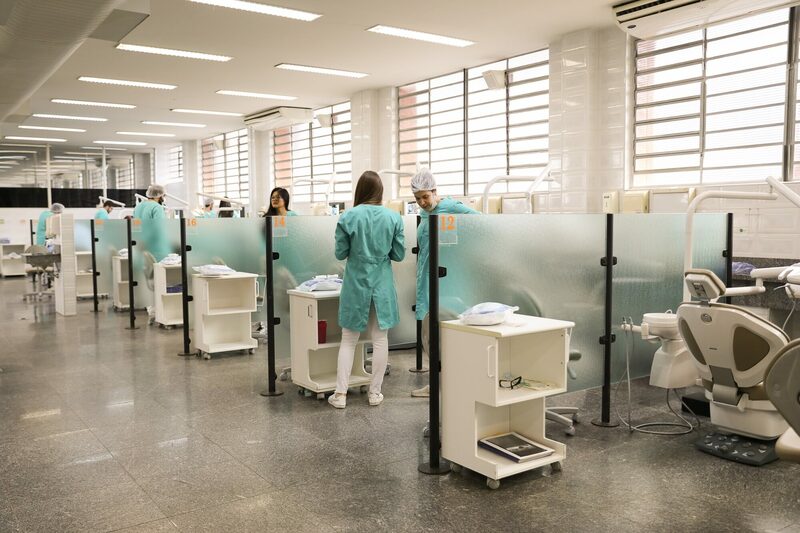 BAURU, Brazil—Arthur arrived for his dental appointment and eagerly climbed into the familiar dental chair. At just 5 years old, the smiling boy seemed comfortable with the process. It was clear he’d been here many times before. 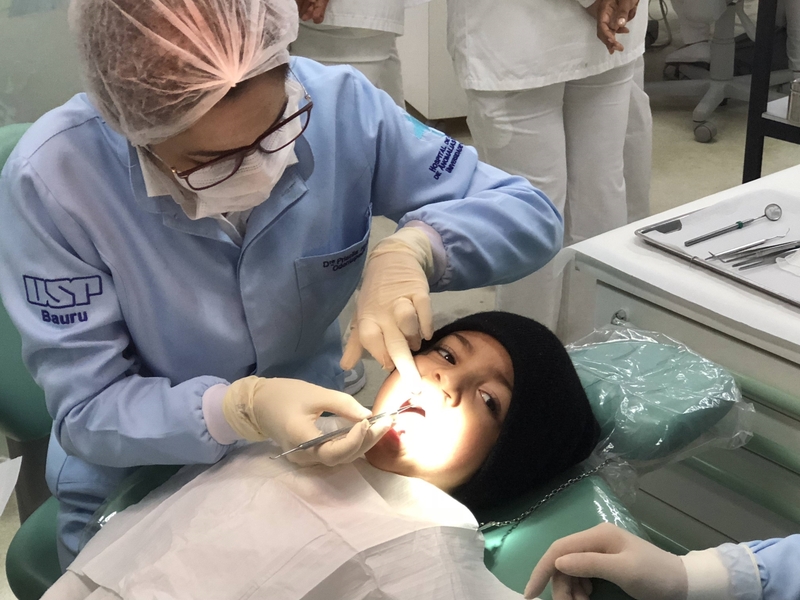 During his checkup, the dentist joked with her young patient, and soon, she was smiling herself: Arthur had no cavities, which is quite rare for a child like him. 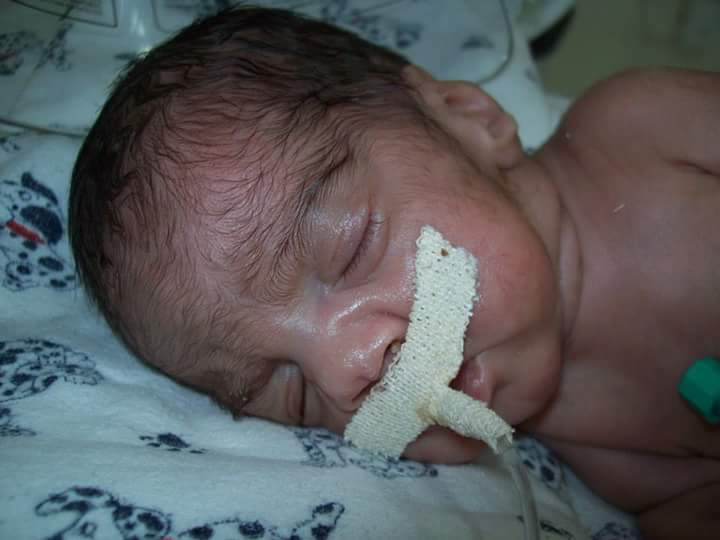 He was born prematurely and underweight, with an extensive cleft lip and palate. 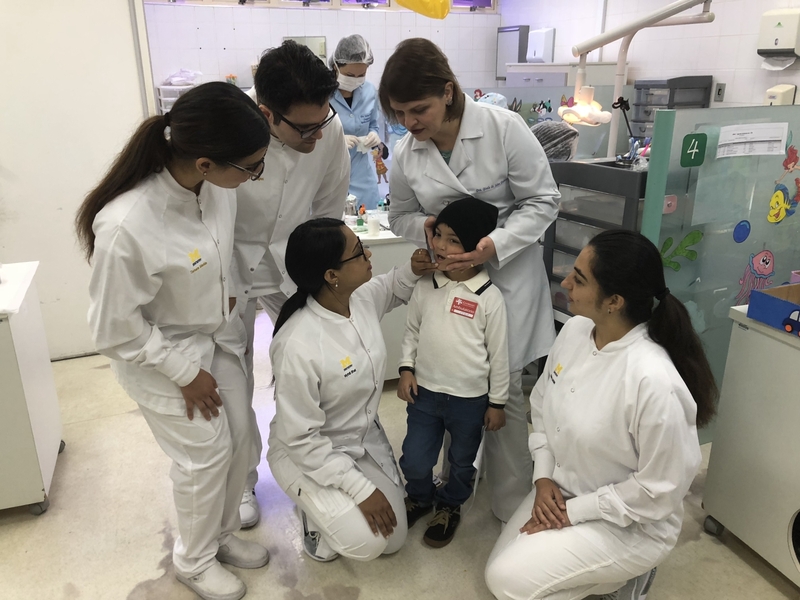 The pediatric team at Centrinho, the Craniofacial Anomalies Rehabilitation Hospital at the University of São Paulo, congratulated the boy and his mother, Maria da Conceição Rocha, while a visiting team of students from the University of Michigan observed the joyful interaction. 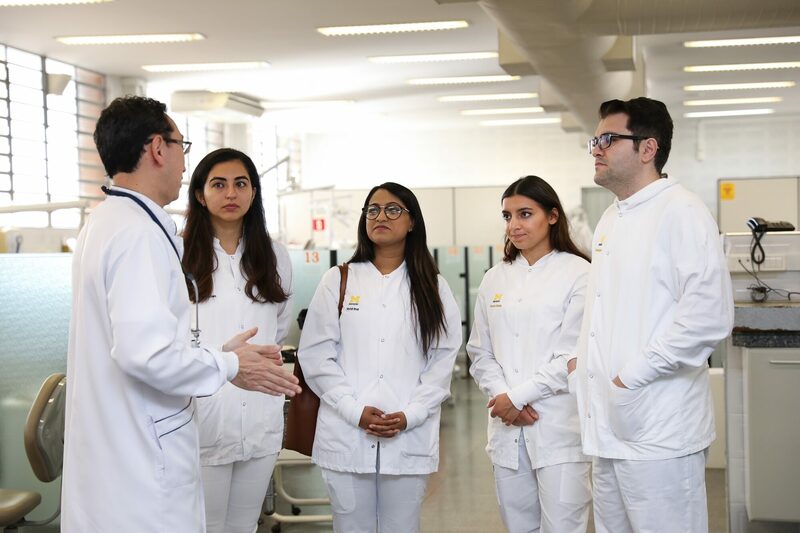 U-M students visit University of Sao Paulo, in Bauru. 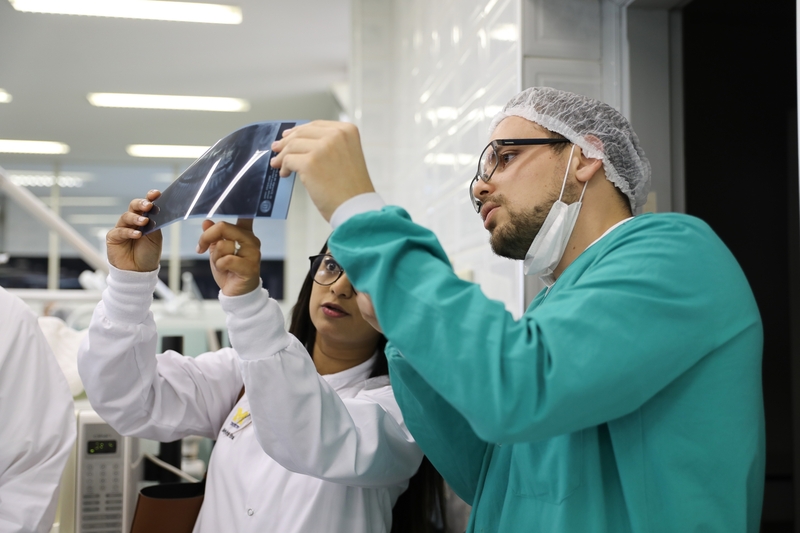 Founded 50 years ago, Centrinho is a world reference center for the treatment of congenital craniofacial anomalies, especially cleft lip and palate, or FLP. In Brazil, one in every 650 children is born with FLP. Worldwide, one in every thousand children is born with the condition. 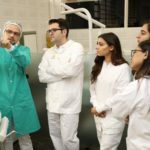 Expanding educational opportunities and promoting a global vision of dentistry are some of the goals of the U-M Global Initiatives in Oral and Craniofacial Health program, which since 2012 has sent students from the School of Dentistry to selected countries to work, train and learn from dentists, doctors and local patients. 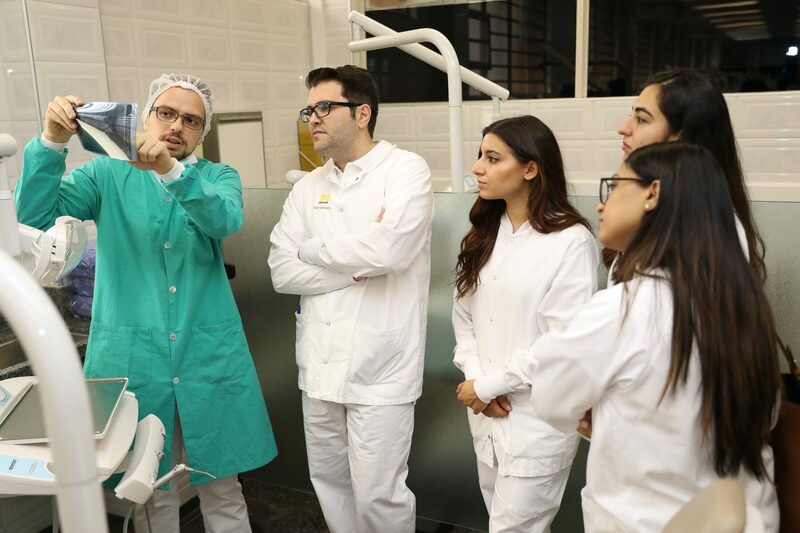 This year for two weeks, U.S. students shadowed the clinical faculty and staff at the Bauru School of Dentistry at the University of São Paulo, one of the best dental schools in Brazil and a U-M partner since 2012. 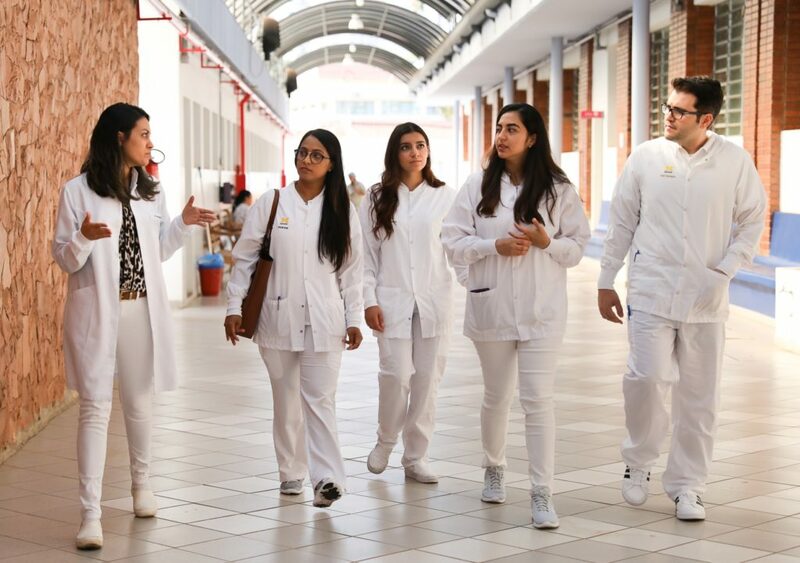 “The possibility of meeting the needs of a global community will be better if we use the physical and human resources of the two universities,” said Guilherme Janson, professor and deputy director of faculty at Bauru. 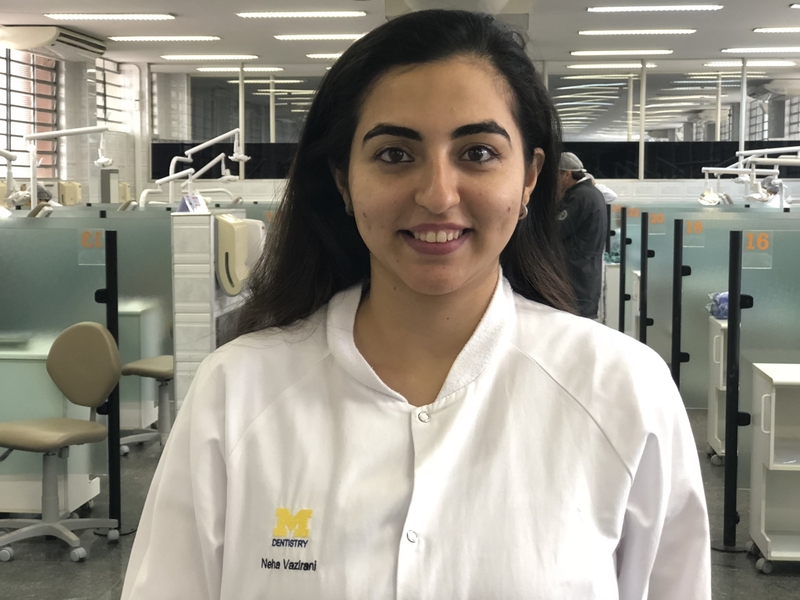 Neha Vazirani, a visiting U-M student who was born in India, graduated as a dentist in Mumbai and completed a master’s program in public health at Tulane University. 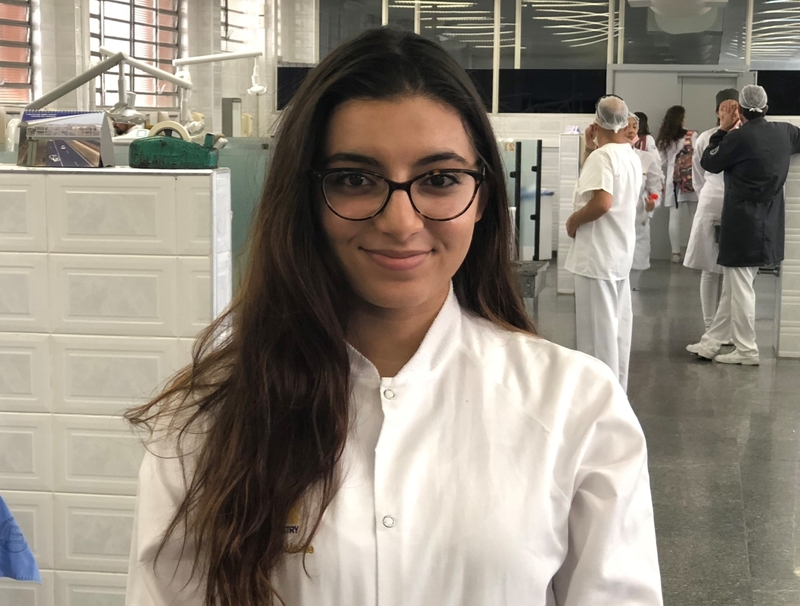 She is now in her third year of dentistry at U-M.
Arthur after his first surgery. 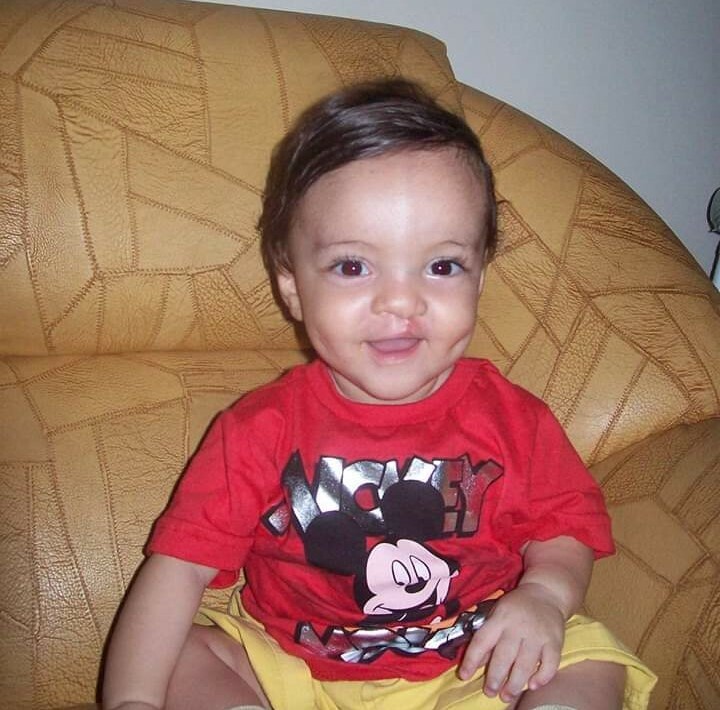 At this young age, Arthur has endured five surgeries to correct the cleft lip and palate. The first one, usually done at 3 months of age, was delayed, however, until he was 2 years old due to his low weight. 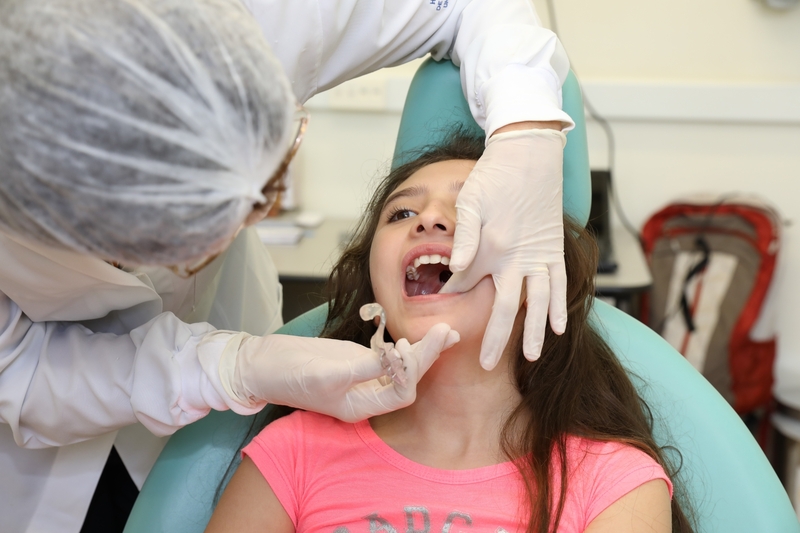 Rocha, dedicated to her son’s oral health, brings him for a dental cleaning every month. Arthur goes for dental cleaning every month. 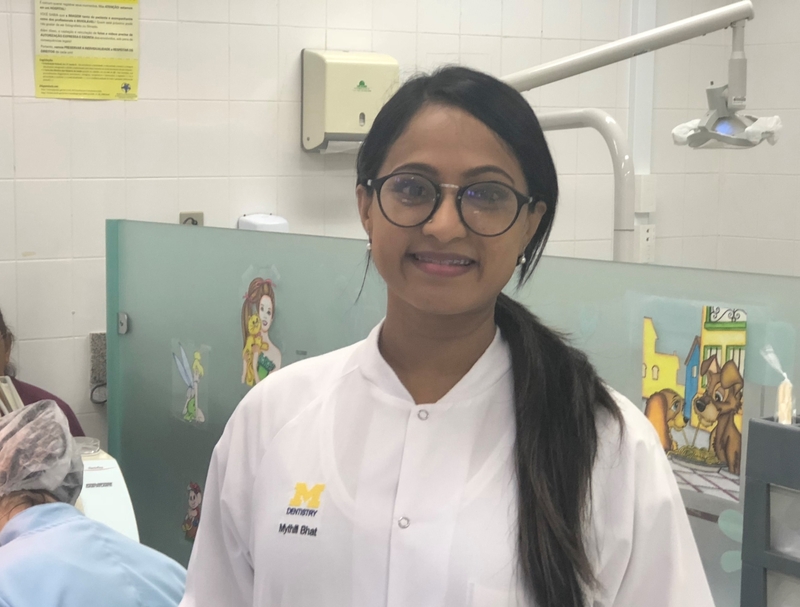 A student of the Internationally Trained Dentist program at the U-M School of Dentistry, Mythili Ramakrishna Bhat learned about Arthur’s case with enthusiasm. She knew the complexity of the treatment, the interdisciplinary work required and the long process of integral rehabilitation. 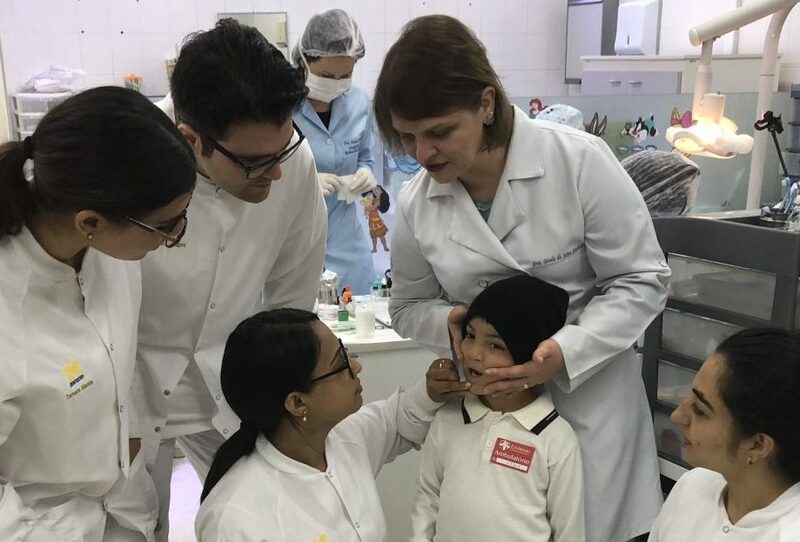 Orthodontist Mônica Moraes Lopes and speech therapist Maria Daniela Borro Pinto reviewed three cases of patients born with a cleft lip and palate. 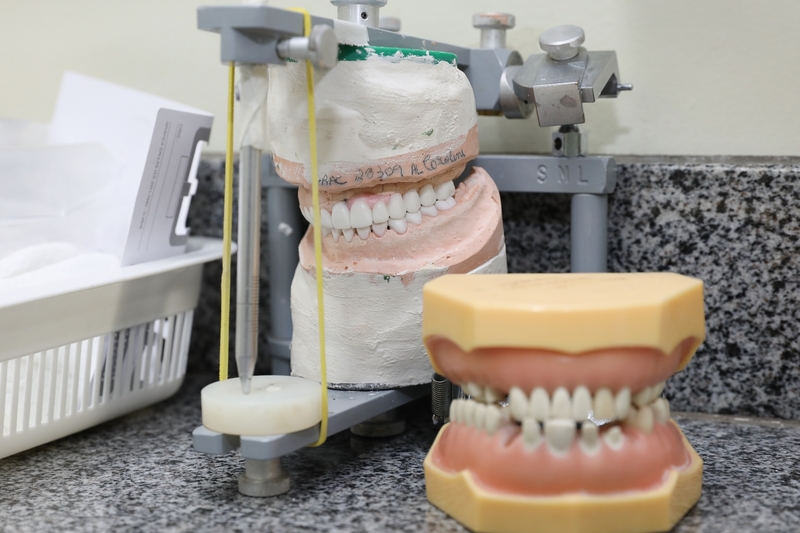 Ranging in age from 10 to 42, none were eligible for surgery, so each would be fitted with a special palatal prosthesis to correct speech problems. 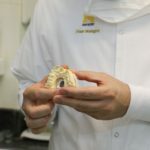 The device corrects velopharyngeal dysfunction, which affects a muscular valve located between the nose and the mouth. Its function is to control the air passage. 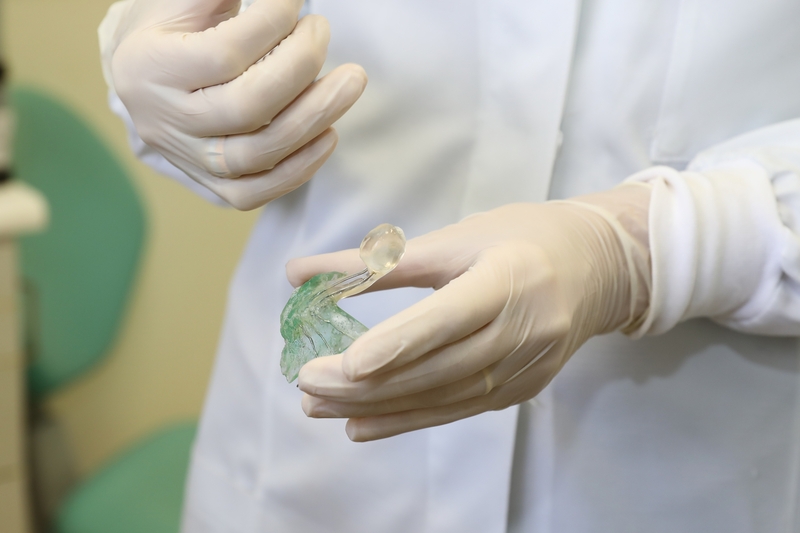 The consequences can go further, according to Centrinho’s researchers, who developed the prosthesis. The distress of being misunderstood and unable to express oneself can stifle creativity and limit one’s ability to learn, they said. 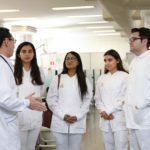 U-M students at the Hospital for Rehabilitation of Craniofacial Anomalies. 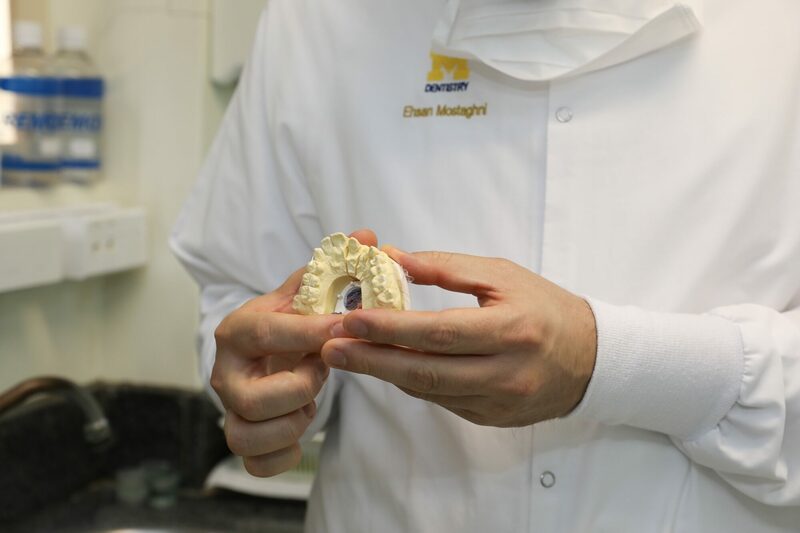 U-M student Vazirani wants to specialize in orthodontics and was fascinated by the speech and hearing clinics, where prosthetics for the mouth, ears, nose and eyes are produced. U-M students watch as patient gets prosthesis’ adjustment. 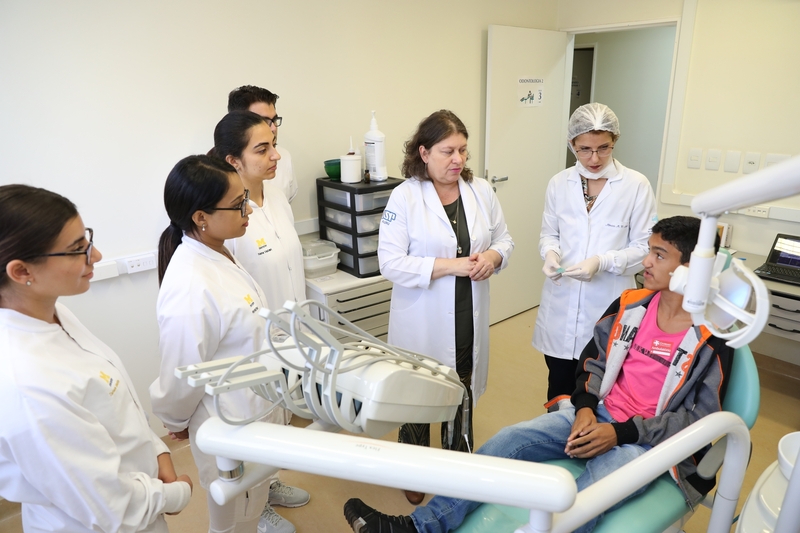 Rita de Cassia Lauris, chief of the Division of Dentistry at Centrinho, also emphasized the importance of interdisciplinarity for a successful rehabilitation treatment that includes mastication, speech, breathing and esthetics. 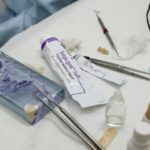 “Here, an orthodontist, for example, does not live without the plastic surgeon, without the speech therapist or the physiotherapist,” she said. “We also do not achieve the expected success if we do not work with our psychologists. 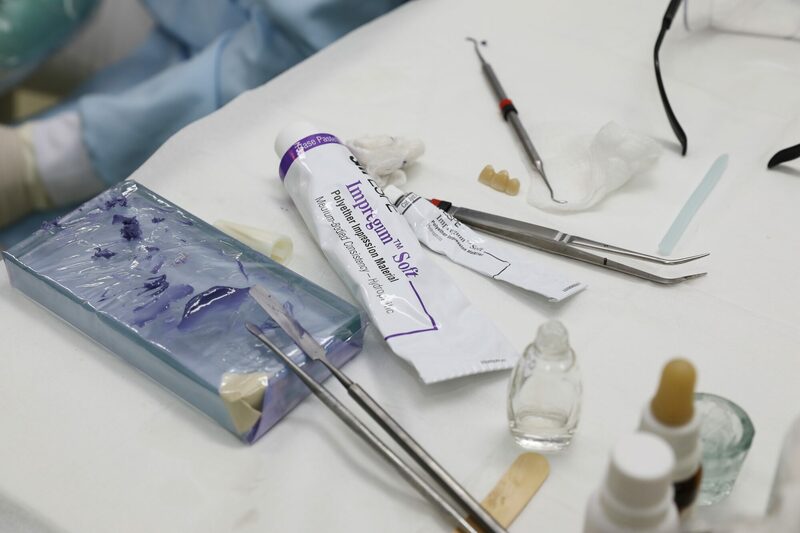 The most common procedures of the dentistry clinic also drew the U-M students’ attention. 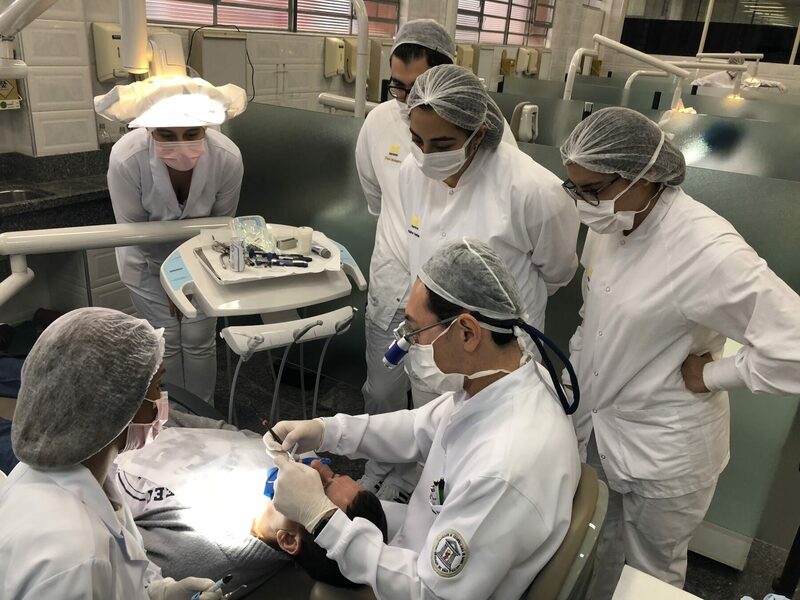 In a collective clinic, some 50 fourth-year USP dental students worked in pairs to expedite different types of treatment—from basic calculus and dental cleaning to complex implants and surgeries. 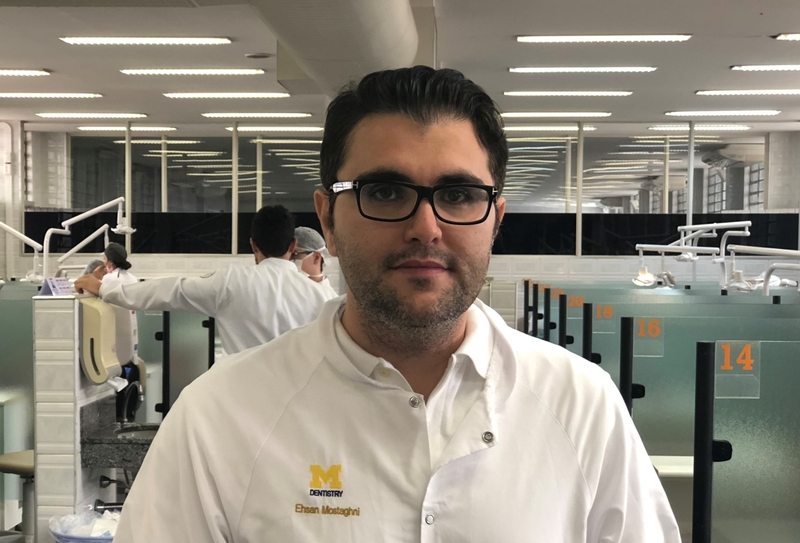 More than learning about USP’s interdisciplinary education and Centrinho’s comprehensive rehabilitation process, Arthur’s mother, Rocha, hopes U-M students can take home something even more precious.